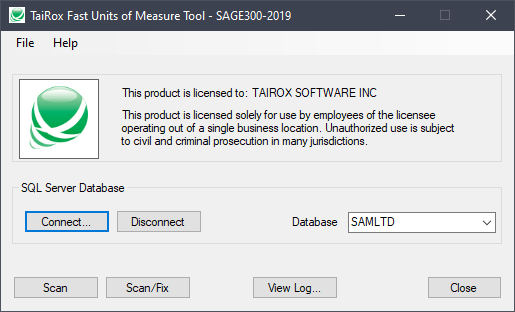 Available for $595 + $120 per year, The TaiRox Fast Units of Measure Tool ("Fast UOM") is a SQL Server specific tool used to diagnose and, where possible, fix issues that arise in Sage 300 Inventory Control when UOM codes are used with "different case variations" (upper and lower case letters are used inconsistently). For example, "Each" and "EACH" may both be used when the intention was that these codes meant the same thing. Unlike codes used elsewhere in Sage 300, these UOM codes are not forced to be in upper case. Problems can arise when two codes differ only in case and when these codes are used as keys to various tables. Sage 300 databases are set up with either "case sensitive" or "case insensitive" collation sequences. 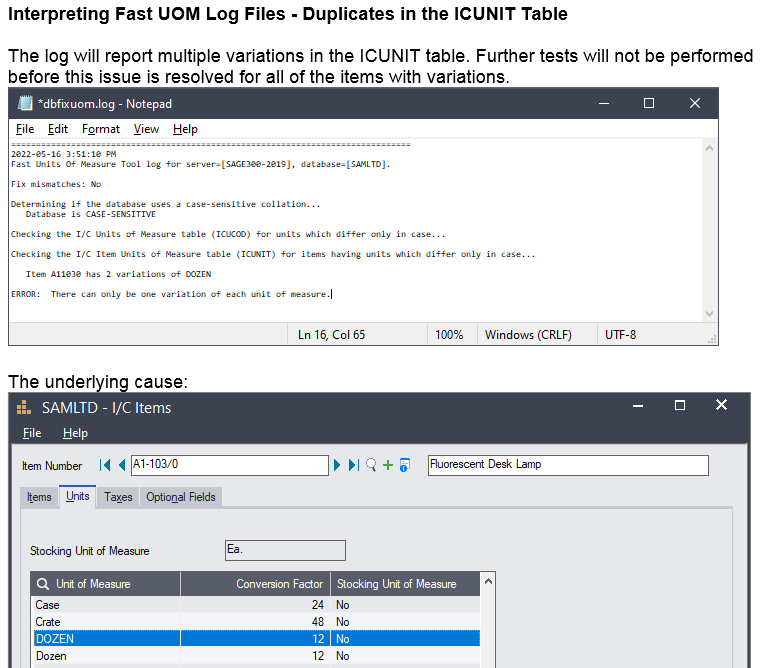 Fast UOM performs differently after detecting which of these two setups is used. Consult the User Guide for more detailed descriptions and examples. • Operates in a few seconds, even on large databases. • Detects units of measure that are not in the ICUCOD table. 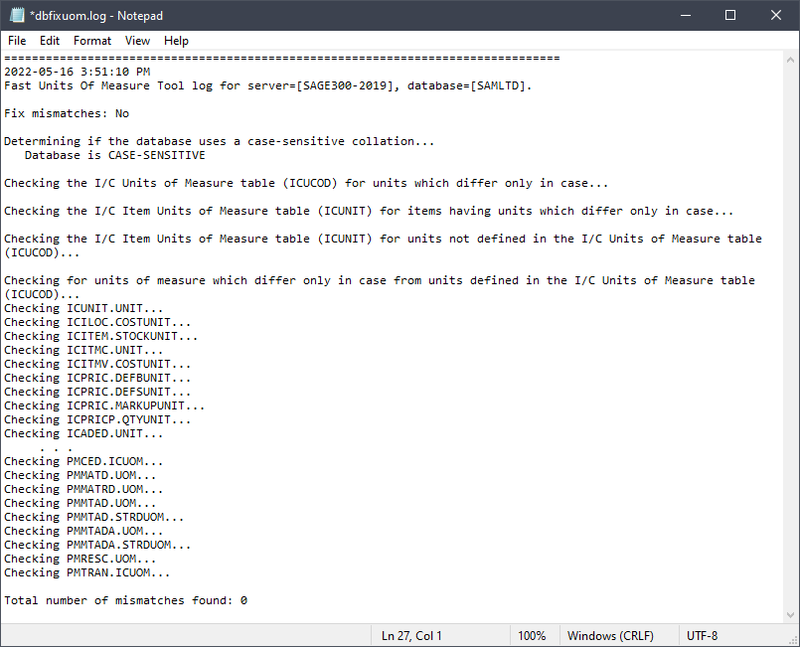 • Detects units of measure with case variations in ICUNIT and ICUCOD tables. • Will report case variations in all I/C, O/E and P/O tables. • Will fix units of measure variations in case insensitive databases in preparation for a migration.